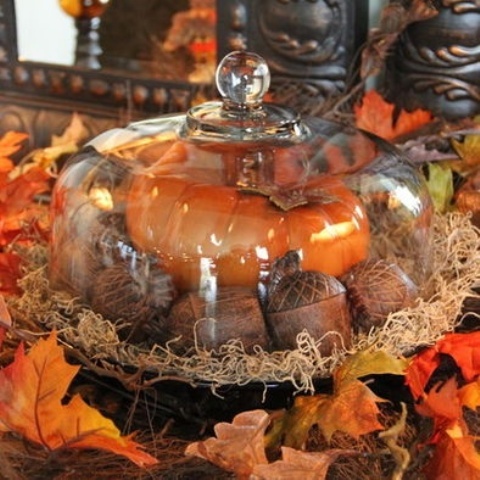 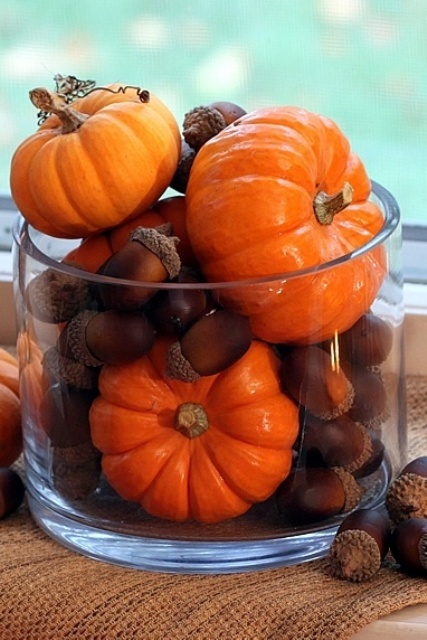 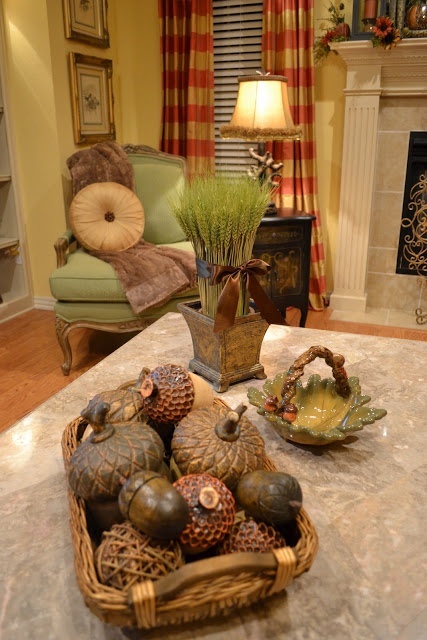 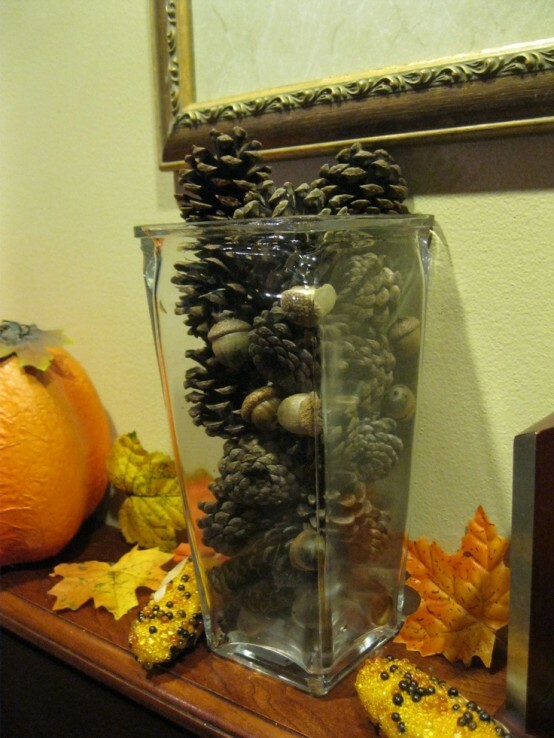 Acorns are more rarely used for fall décor than pumpkins or leaves though they aren’t worse and look original. 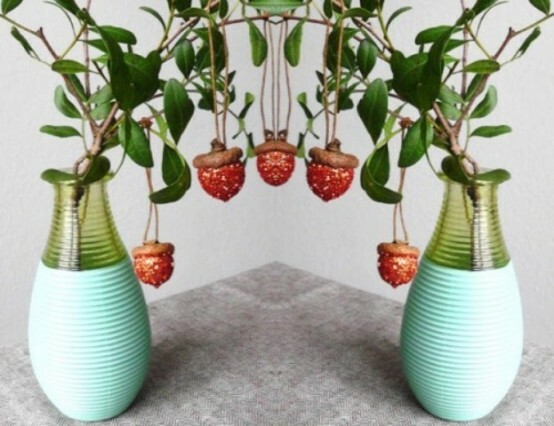 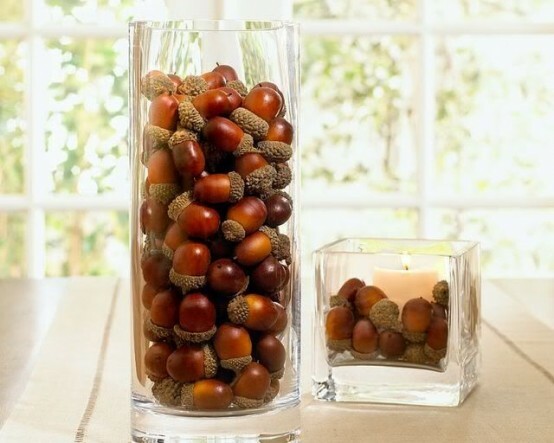 The easiest way to use them for décor is to put some into a candleholder, vase or even make a candle holder of them! 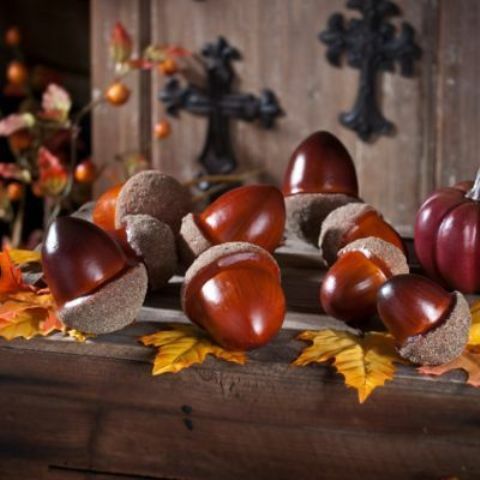 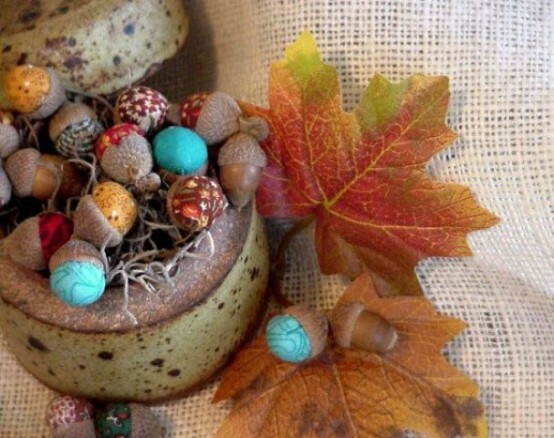 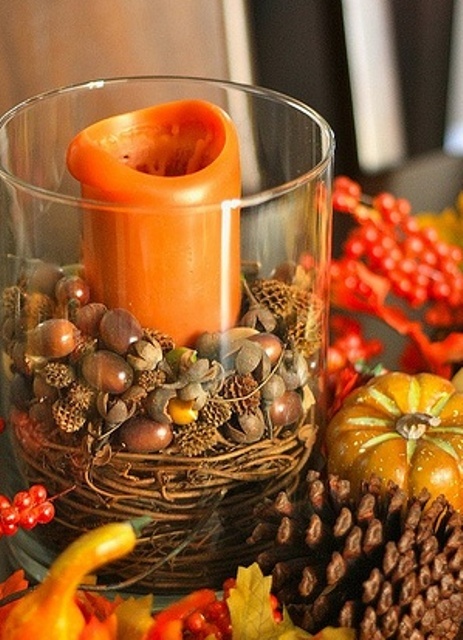 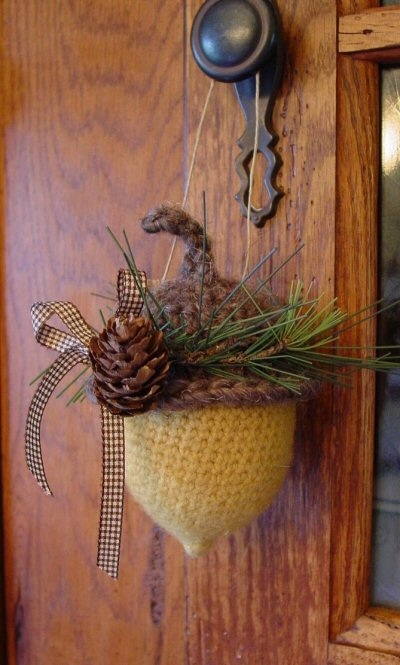 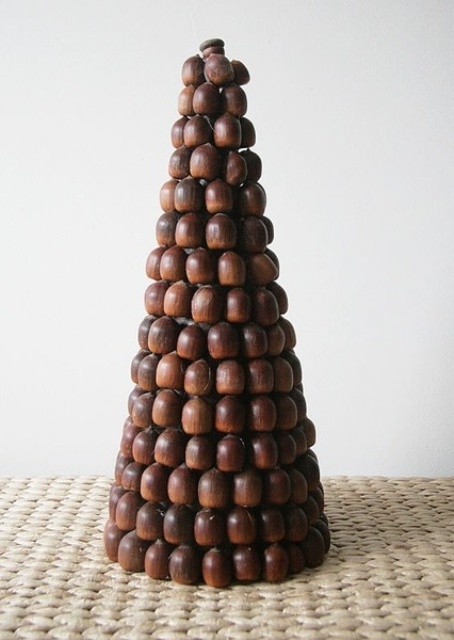 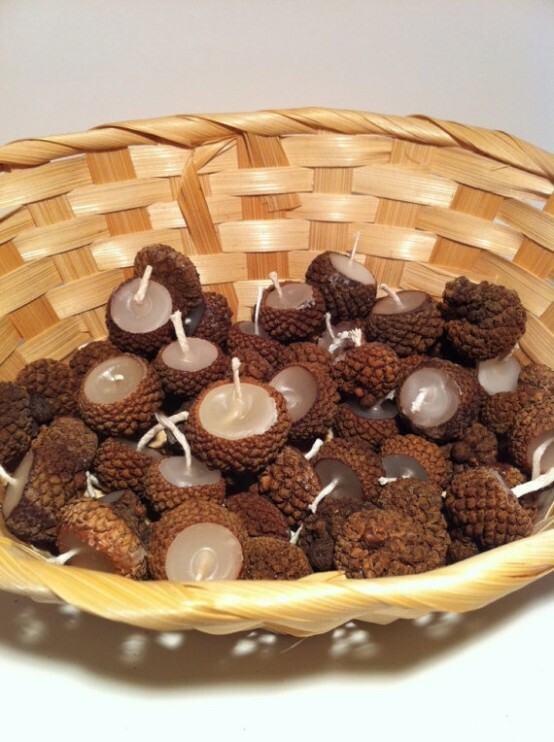 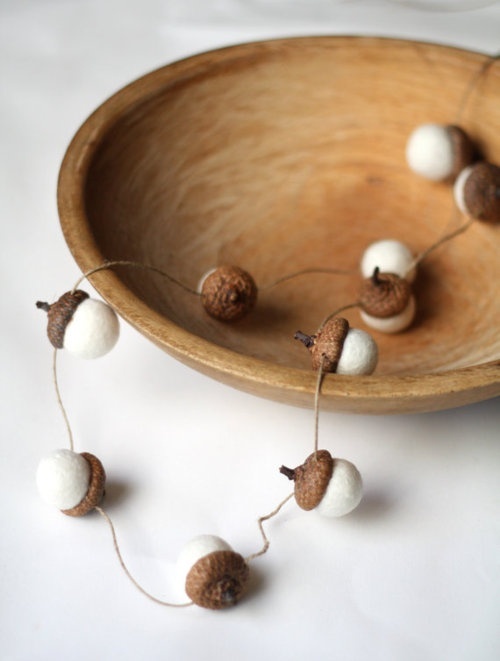 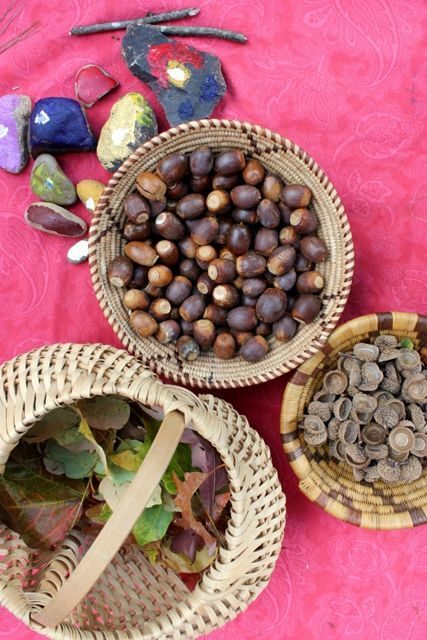 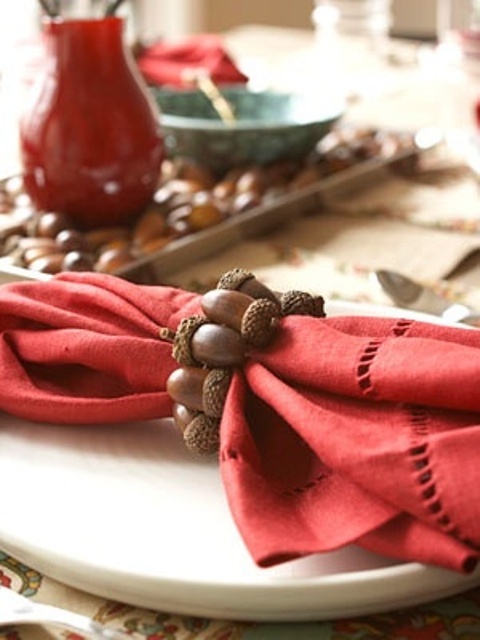 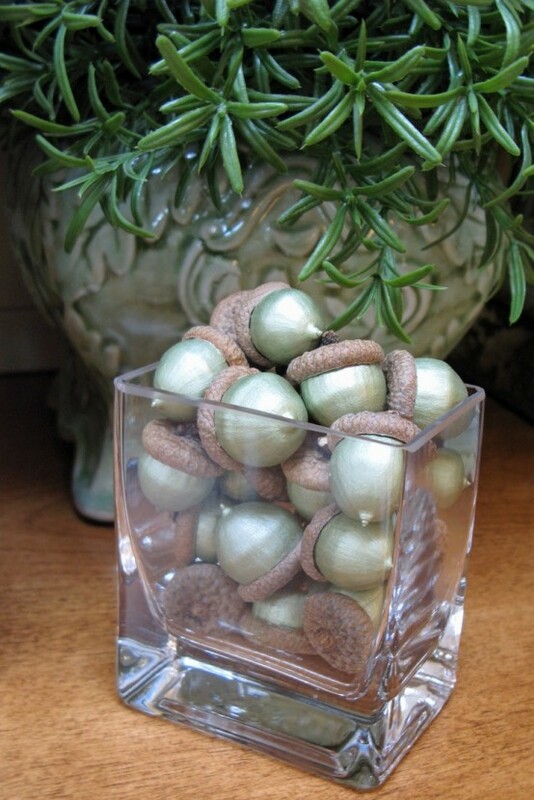 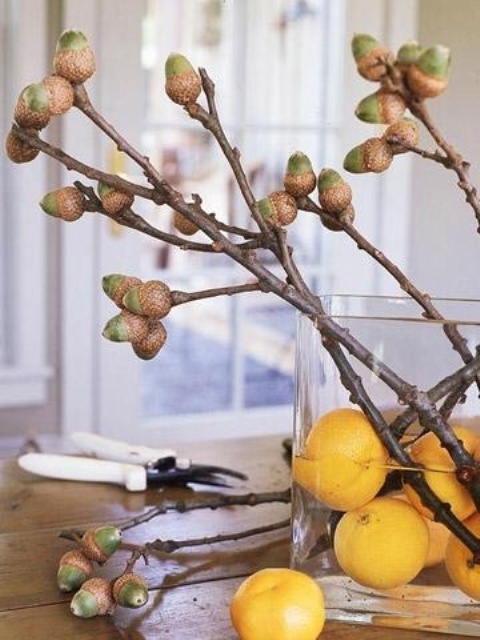 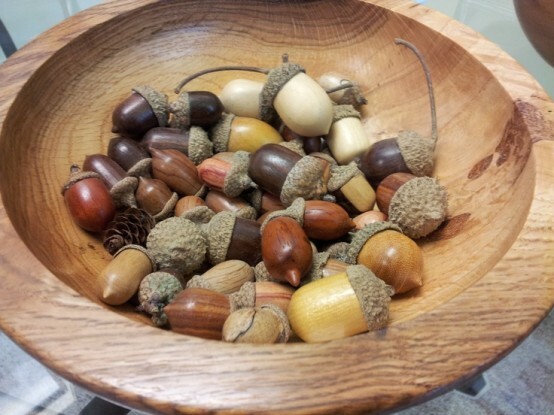 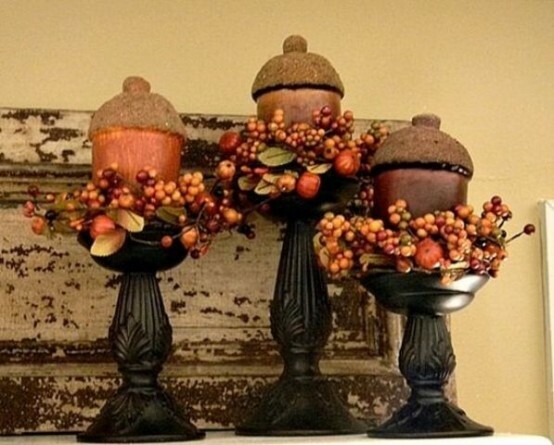 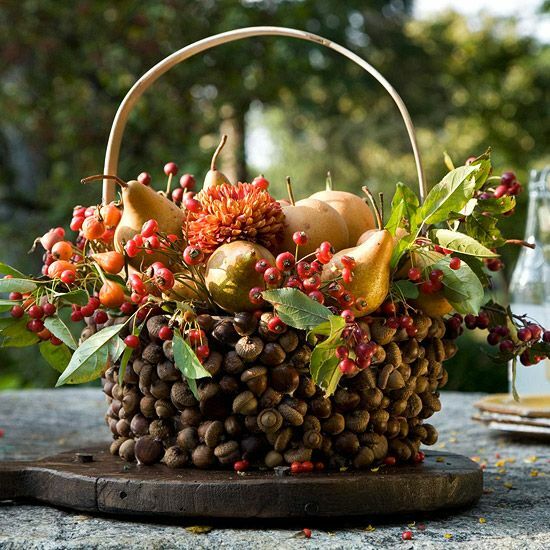 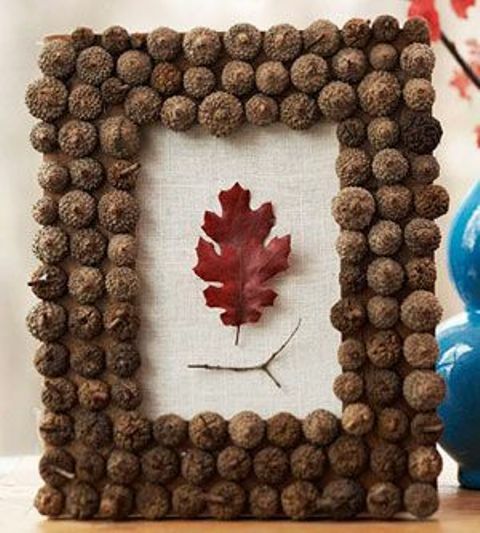 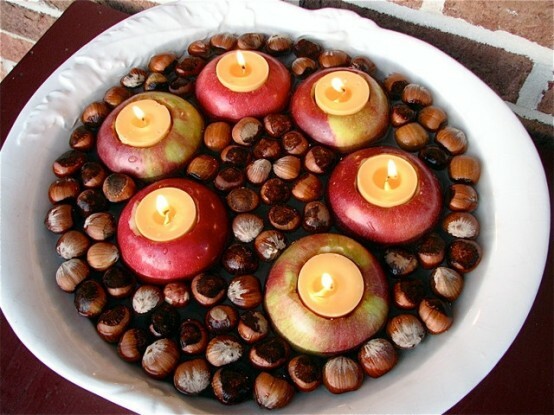 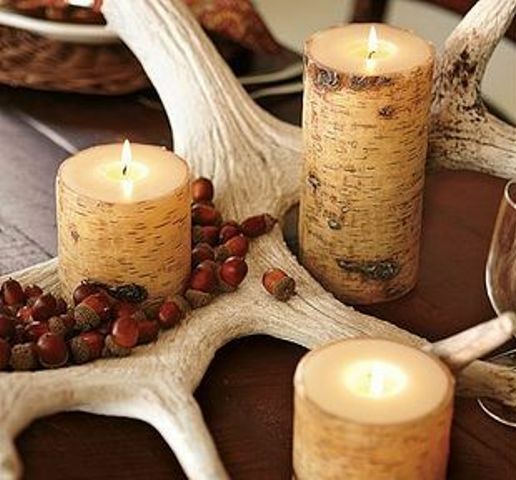 Make some napkin rings of acorns, glue a basket or a tower to put on the mantel. 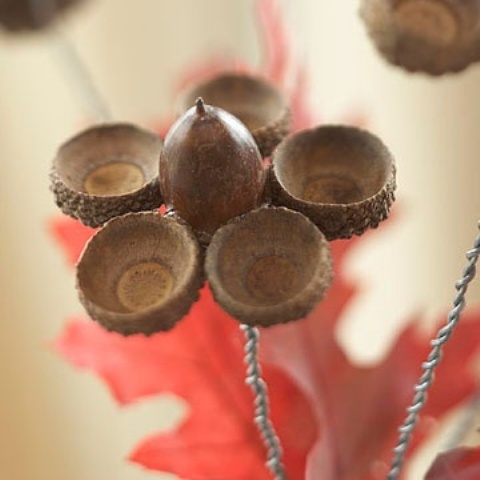 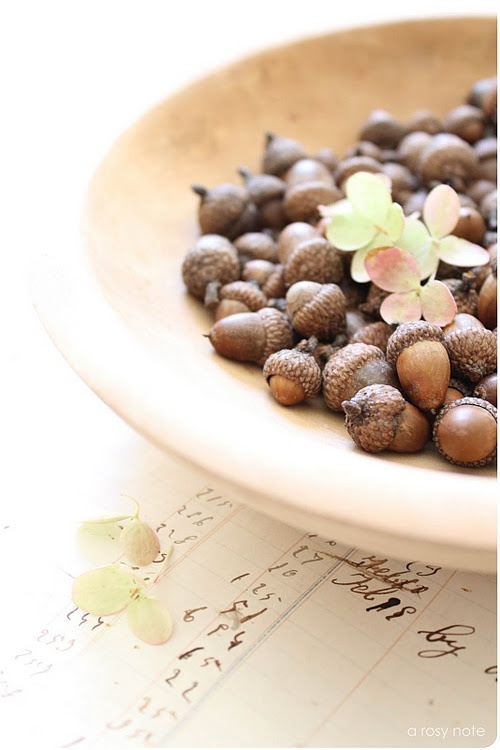 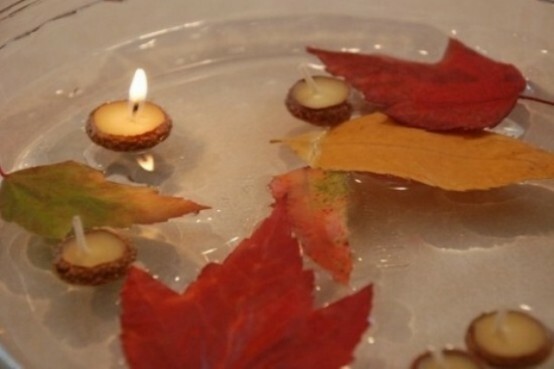 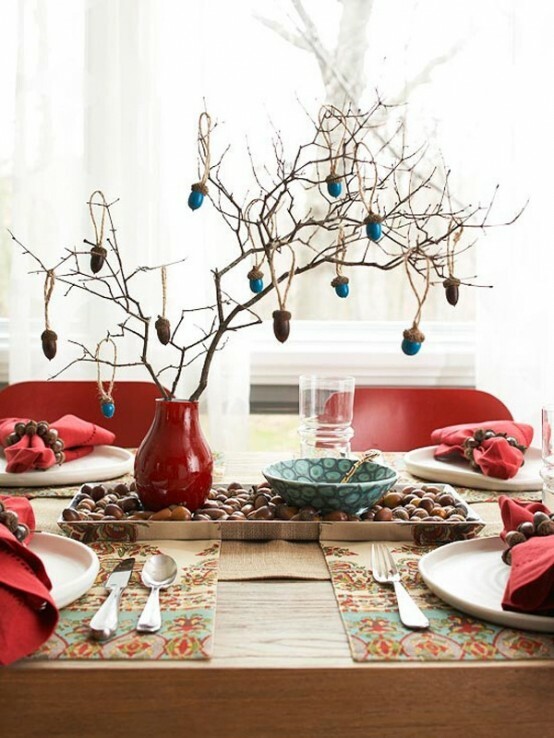 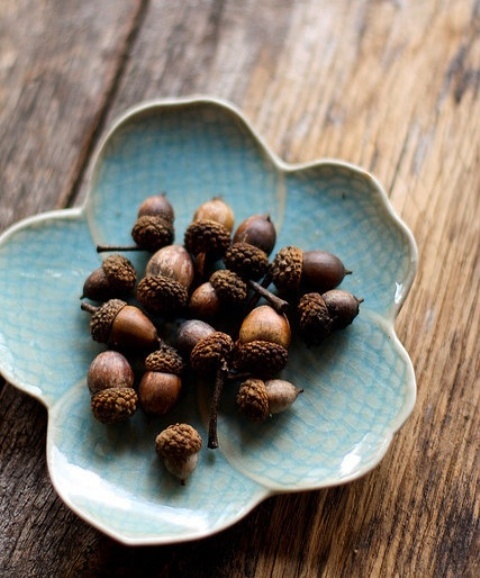 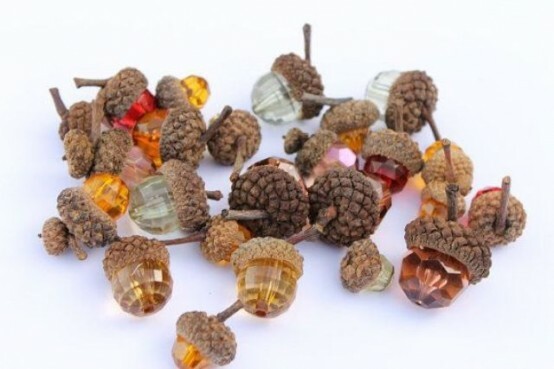 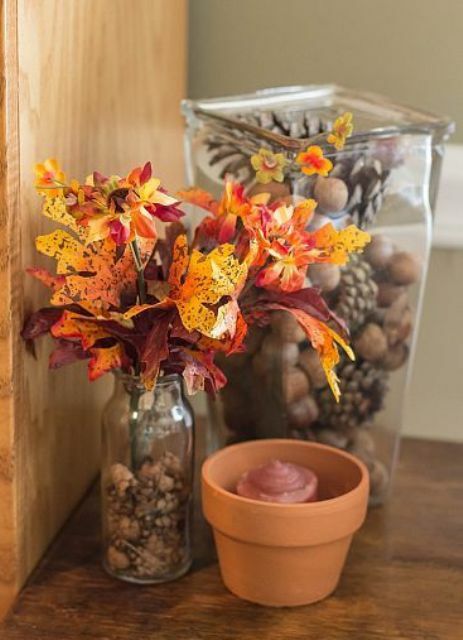 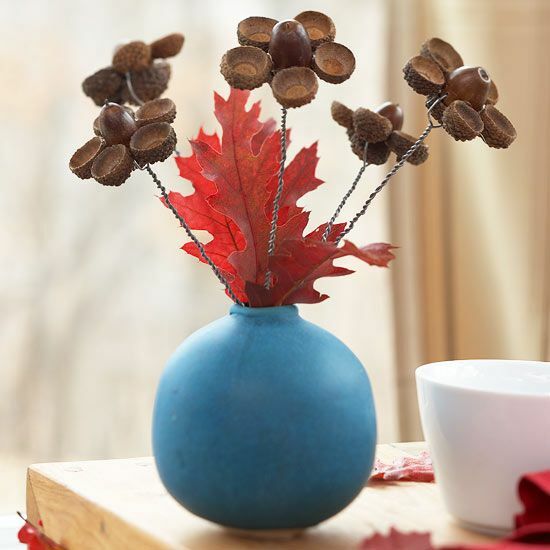 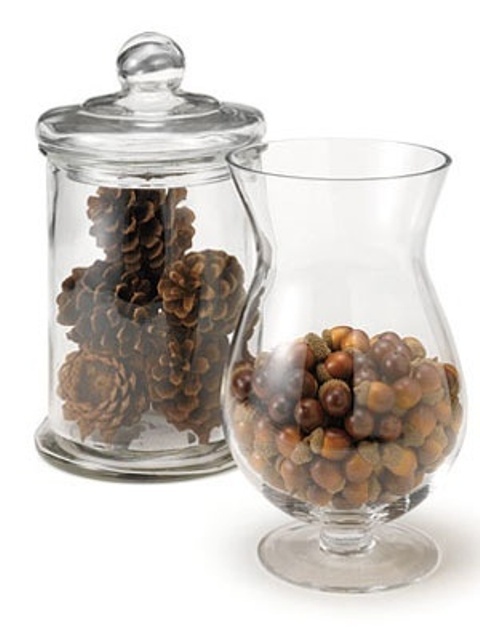 Actually, you can put the acorns into some beautiful bowl, glue a flower of them or hang them onto some branches to create a simple but original centerpiece. 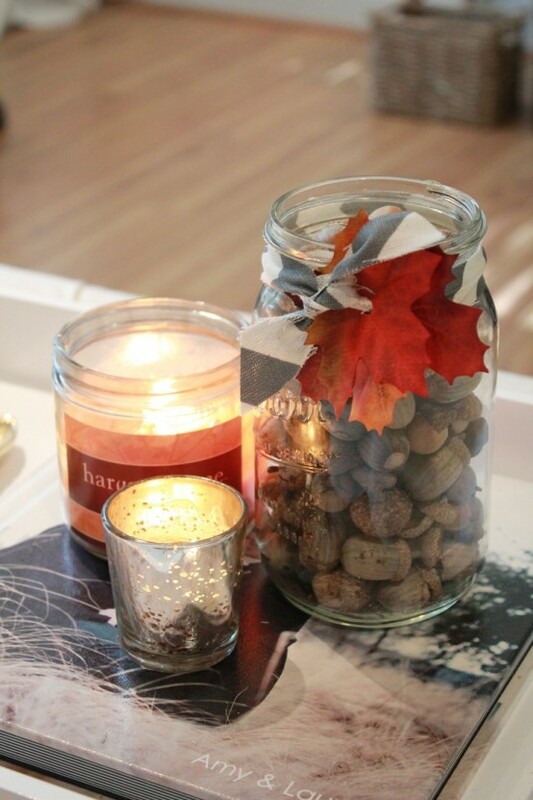 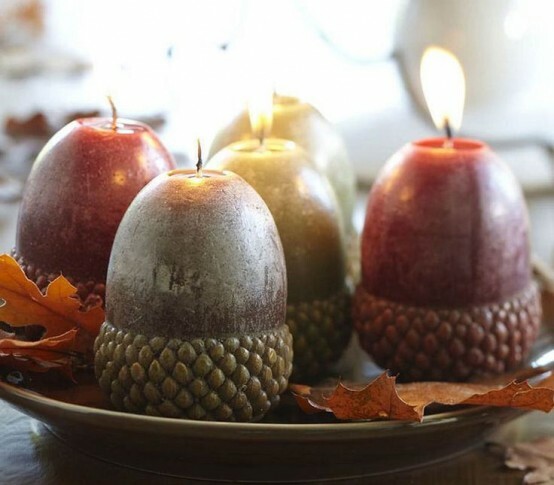 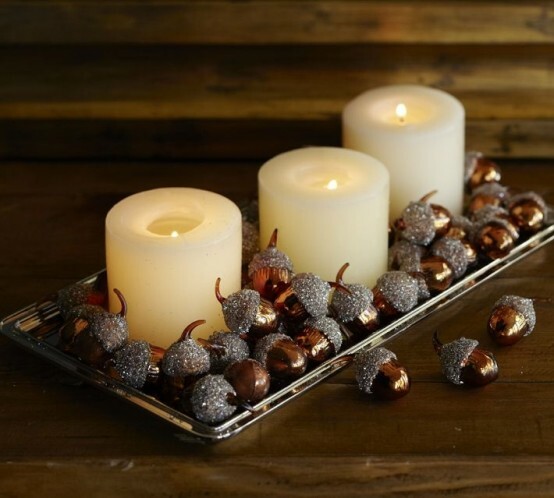 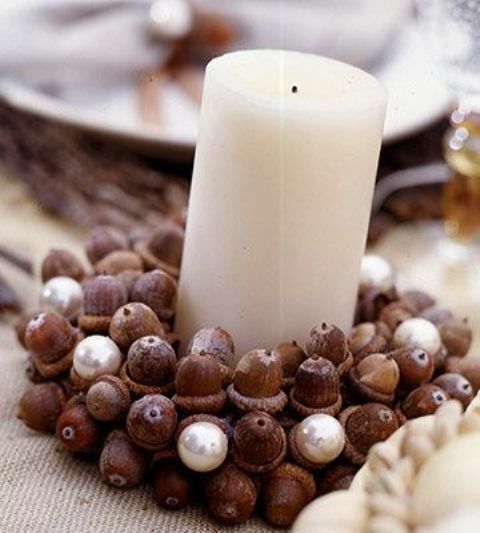 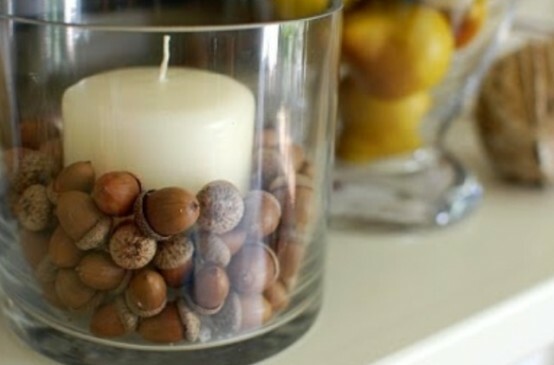 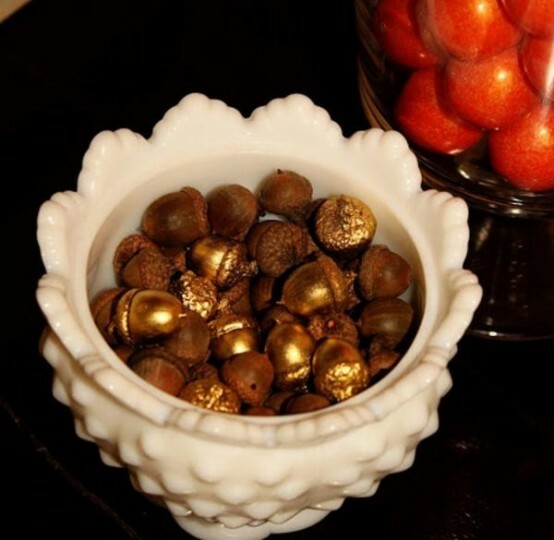 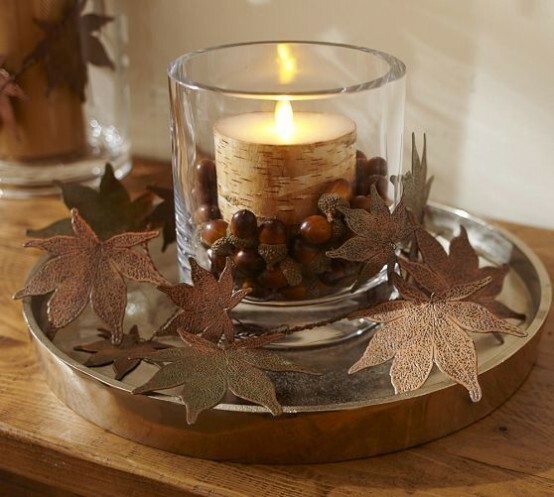 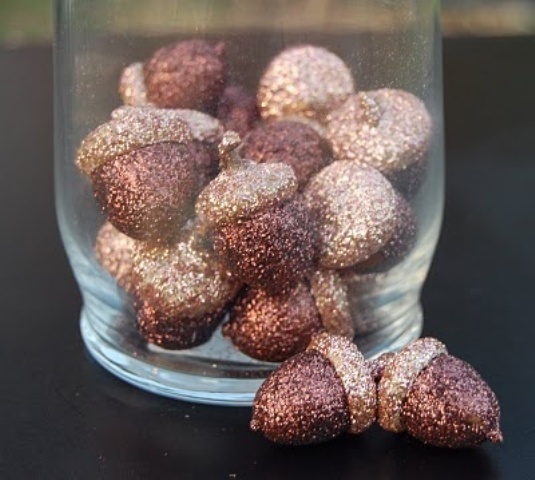 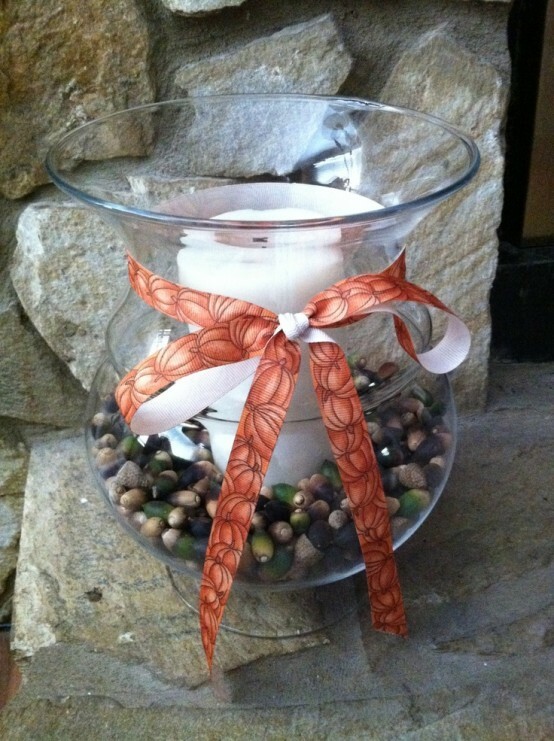 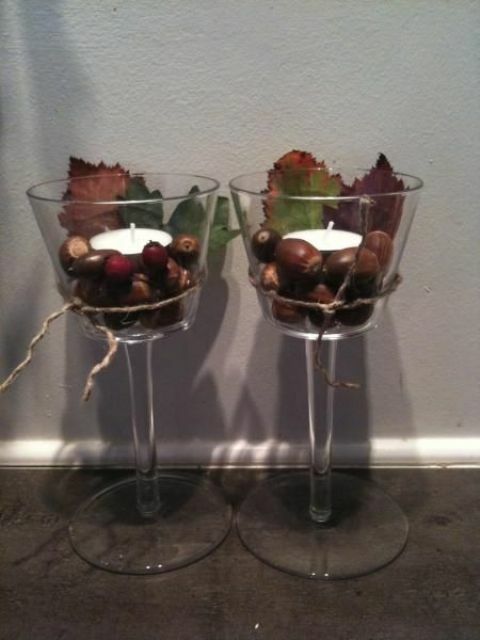 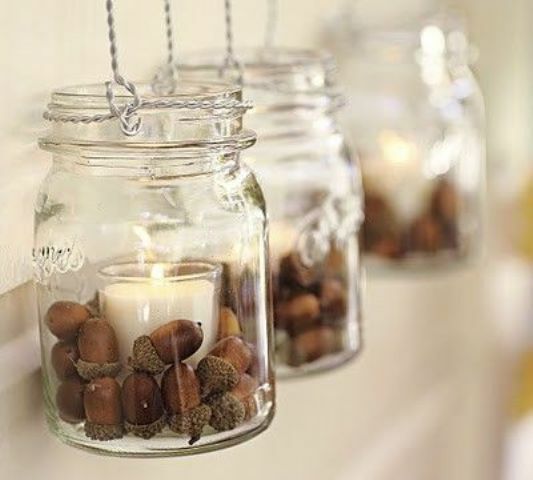 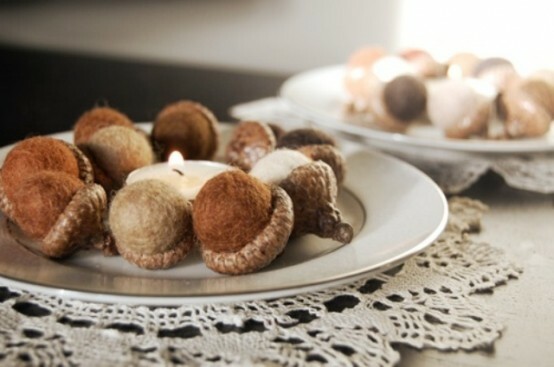 A creative way is to make tiny candles of acorns; glitter or paint the acorns to follow your color scheme. 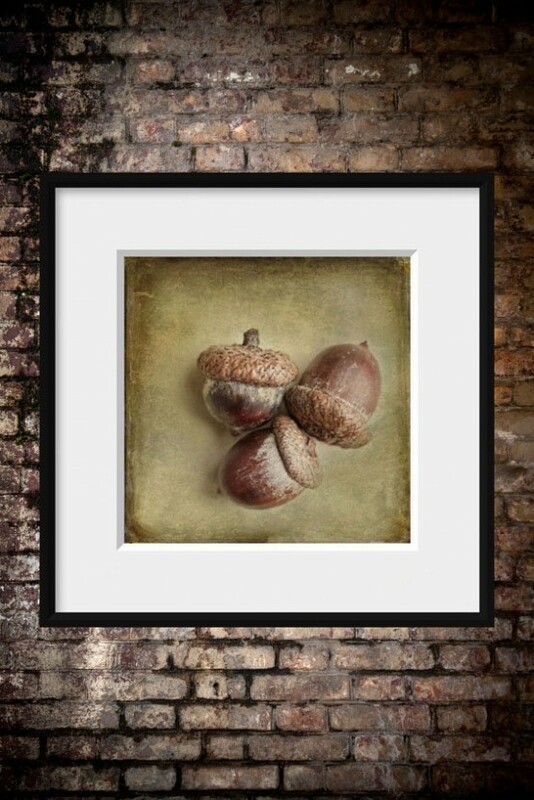 If you don’t want to look for natural acorns – buy a painting with them and you’ll be in trend!